Discover a new way to stream music wirelessly across your home with the Bose SoundTouch 20 Wireless Smart Sound Multi-Room Speaker. 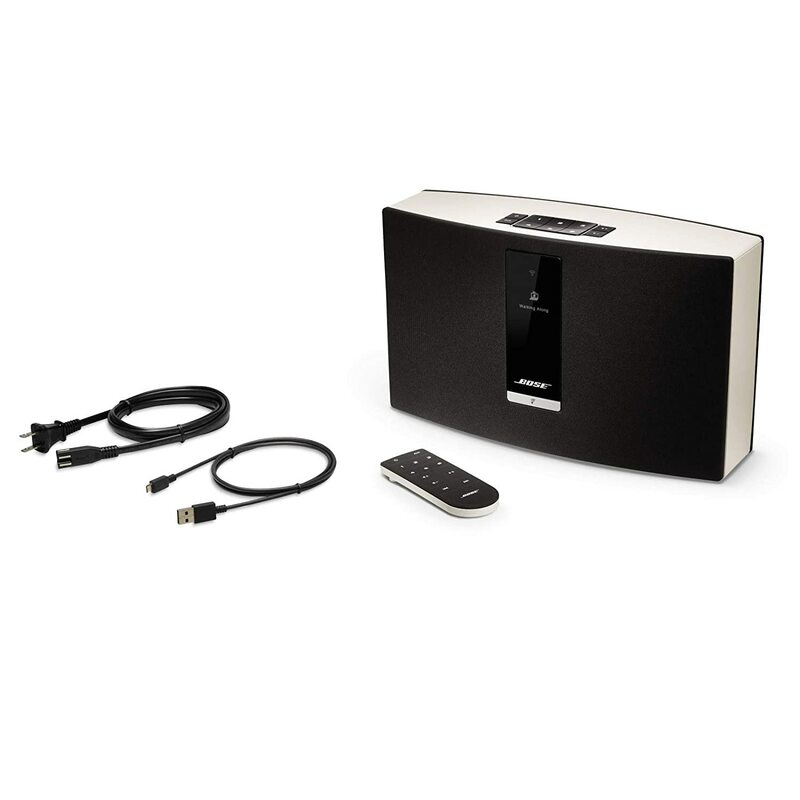 Fill your entire home with rich, clear sound via your home WiFi network or Bluetooth enabled devices. 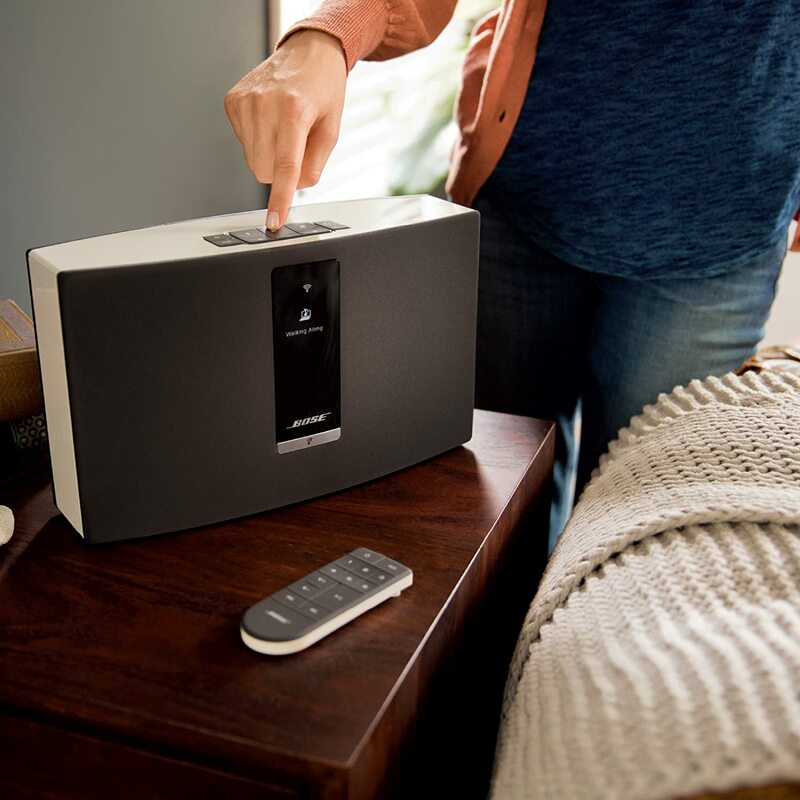 The SoundTouch 20 III connects to the internet to give you access to 20,000 internet radio stations, your personal music library and online music services like Deezer and Spotify. You can control your SoundTouch 20 III via the SoundTouch app on your Android or iOS device to make streaming music even easier. Customise music with six personalised presets or customise zones to play different music in various rooms across your home – all at the touch of a button. The SoundTouch app lets you play music from your playlists and music services or browse online to discover new artists or songs. It may be compact, but the SoundTouch 20 III delivers high-quality sound capable of filling even the largest rooms in your home. Custom-designed transducers produce clean mid and high frequencies, while digital signal processing keeps the sound balanced, however high you pump up the volume.